These Socks are made from high quality durable warm cotton material. These Socks are machine washable. Thermal Socks. 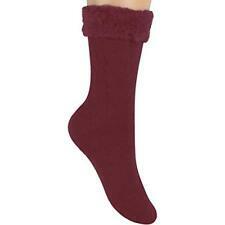 These socks are made from a comfortable and warm material, with a comfortable heel and toe. Hard Wearing Thick Socks. Washing instructions: Machine washable at 30°C, can be tumble dried. 90% Acrylic / 10% Nylon. 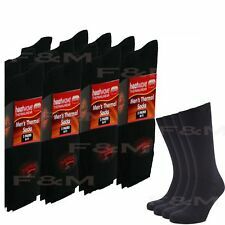 Men socks pack of 4 -84% cotton - size is 6 to 8.5- Free postage . 4 out of 5 stars - Men socks pack of 4 -84% cotton - size is 6 to 8.5- Free postage . 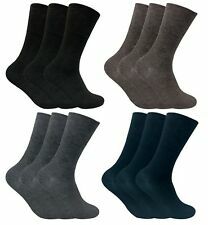 322 product ratings322 product ratings - Men socks pack of 4 -84% cotton - size is 6 to 8.5- Free postage . Socksation Ultimate Work Boot Socks - Black, 6-11 Size, 12 pcs. Condition is New with tags. Dispatched with Royal Mail 2nd Class. LOOSE KNIT TO ALLOW FEET TO BREATHE. ACRYLIC 70%, POLYESTER 28%, ELASTANE 2%. 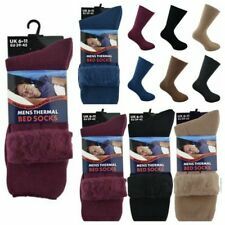 Mens Slipper Socks gripper thermal lounge cosy pack or 4 pack size 7-11. Dispatched with Royal Mail 2nd Class. WINTER THERMAL SOCKS. WORK SOCKS. WALKING SOCKS. 2 pairs black thermal socks with Merino wool. Brand new. 10 pairs Men’s New With Tags Socks Mixed. Condition is New with tags. Dispatched with Royal Mail 2nd Class. 50% mixed fibres. Size UK 6-11, Eur 39-45.